Here at Ampersand VM, we’re all about the mid-century modern aesthetic, but that doesn’t mean we don’t appreciate some of the visionaries that came before and paved the way for the modernist design movement. 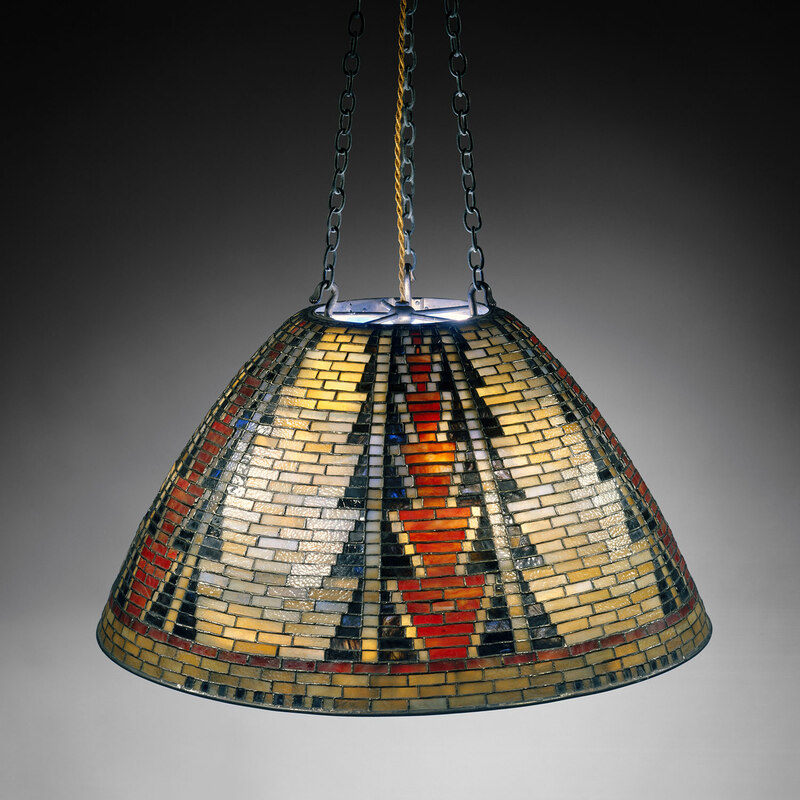 In the half-century leading up to modernism, few had as pervasive an influence as designer Louis Comfort Tiffany, who would have turned 165 today. Born in New York in 1848, Louis was the scion of another famous Tiffany, Charles Lewis, the founder of Tiffany and Company. Originally trained as a painter, he soon moved onto the glass-working that would make him famous – even infamous – in his own right. 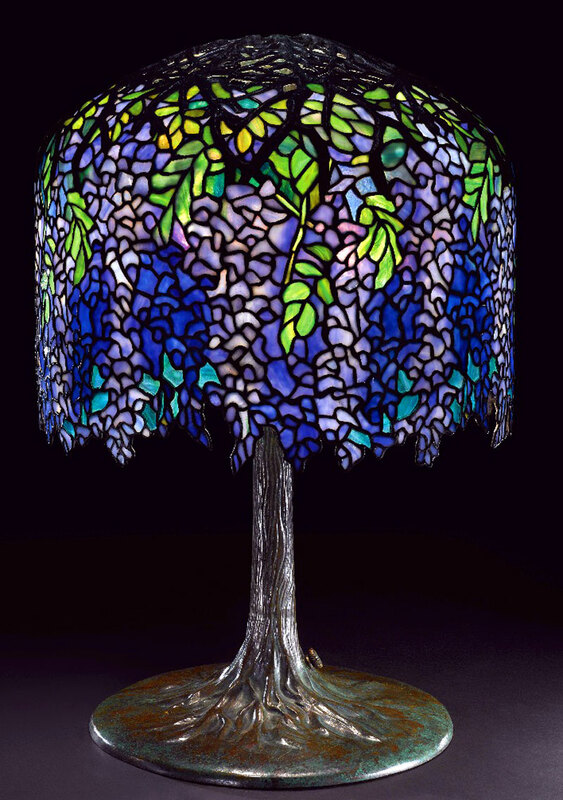 But while Tiffany is best remembered for his stained glass panels and lamps, he applied his signature Art Nouveau style to everything from enamel, to pottery, to jewelry, to metalworking, to blown glass. 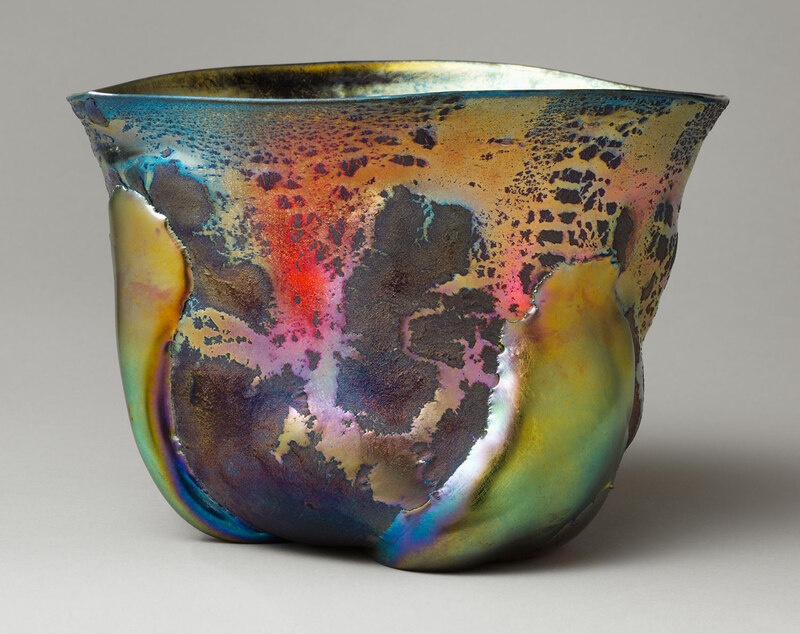 This Tiffany bowl from 1908 is an example of his “lava” glass technique, the contrast between the rough black surfaces and the shimmering lustered portions meant to mimic molten lava pouring over the edges of a volcano. 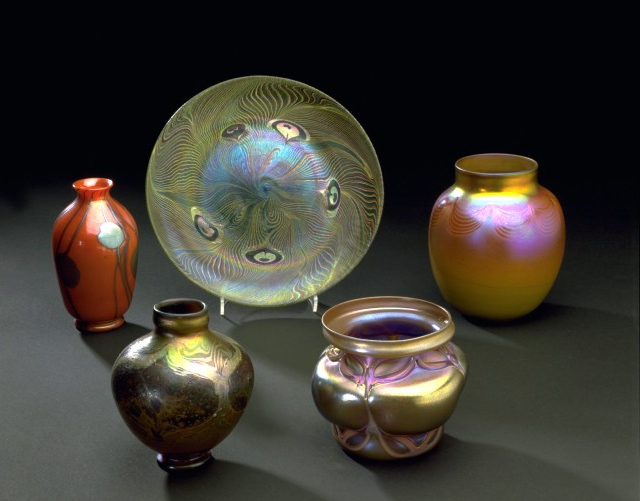 Favrile glass, in which the irridescence is ingrained in the glass itself, was patented by Tiffany in 1894. He used it in both blown glass and stained glass pieces. 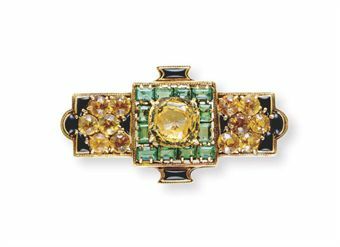 This art deco brooch by Louis Comfort Tiffany, ca. 1920, shows how his style evolved towards modernism over the years. And his iconic glasswork wasn’t just limited to lampshades; the trompe l’oeil glass curtain he installed in the Palacio de Bellas Artes in Mexico City is considered by many to be a masterpiece. The glass curtain in the Palacio de Bellas Artes, installed in 1911. Though Tiffany died in 1933 at the age of 84, his progression from Aestheticism through Art Nouveau and into Art Deco shows a truly modern, evolving approach to his multi-varied art career. ← Happy Valentines 10% OFF for Vintage Lovers!